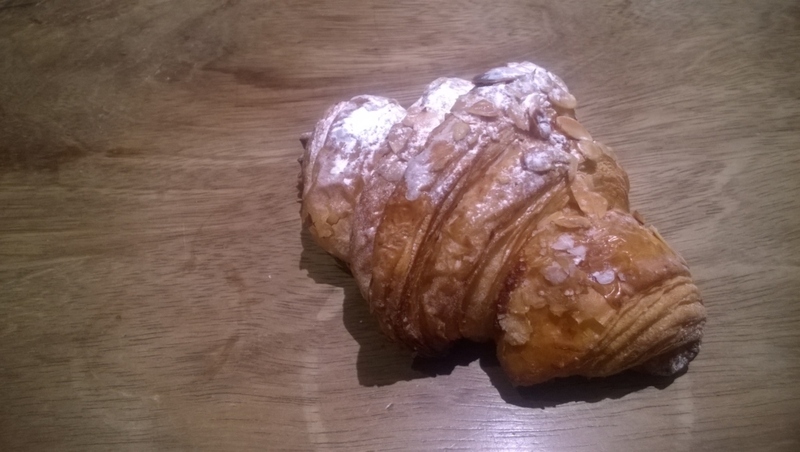 The best, worst and mediocre almond croissants in London! One of my favorites. Long shape (it means there’s a lot to eat!). Right crunchiness and soft dough inside. Cream is really good, but something tells me that it could be better. A positive thing: the cream is there with you from one corner to the other. One of my favorites again. It’s crunchy on the surface and soft inside. Good cream in quality and quantity, generous from the very beginning to the very end. Quite generous with the icing sugar as well, maybe a bit too much? Looks like it does have the right shape, but… is it possible to have a few inches more? If you have to choose between Tesco or Sainsbury’s, please go to Tesco: for 10p less you get a better product. Crunchy outside and soft inside as it should be (in my opinion). Tasty cream… good! 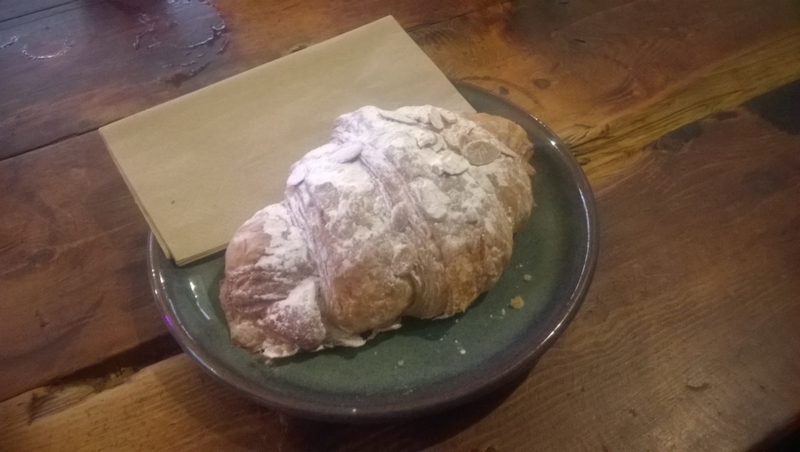 Crunchy outside and soft inside like every croissant should be. Maybe it feels a bit dry when you eat it. 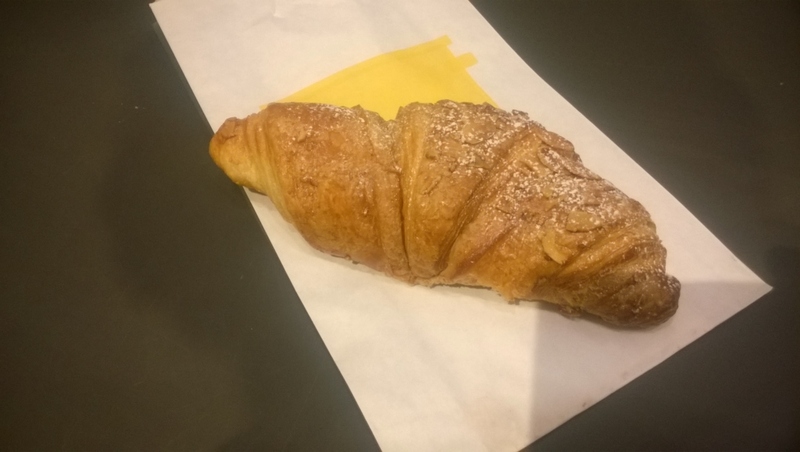 The cream is good but shy: it could be a bit more strong in flavor and definitely more in quantity! You can only find it in the very middle of the pastry. 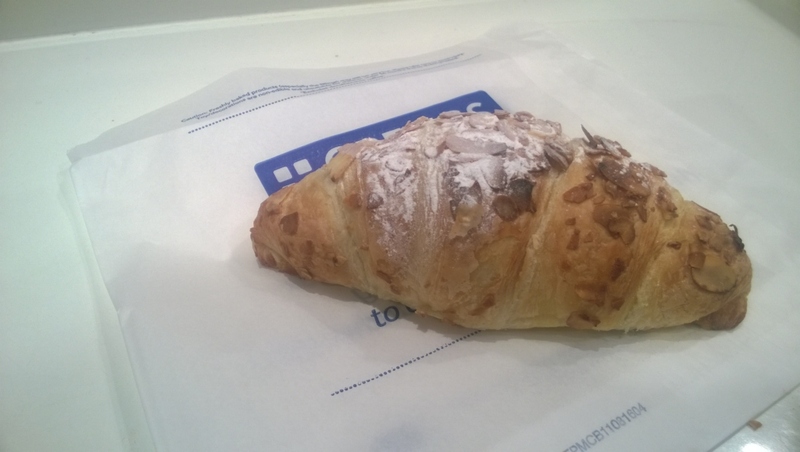 This one seems to have the right crunchiness (maybe a little bit more crunchy would be better). the cream is good and is there from the beginning, but not thick enough, quite liquid. 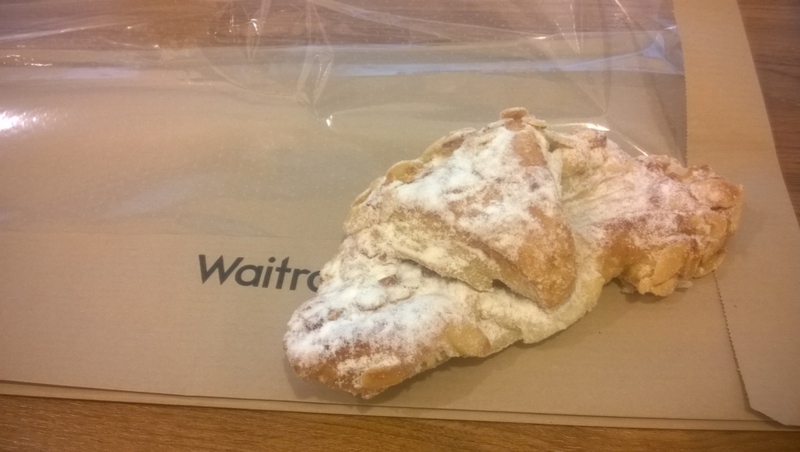 Maybe the reason was because the croissant was too hot, but it wasn’t. You don’t expect when you give the first bite, but the dough combined with the cream make everything really chewy, gummy! Crunchy, definitely crunchy! 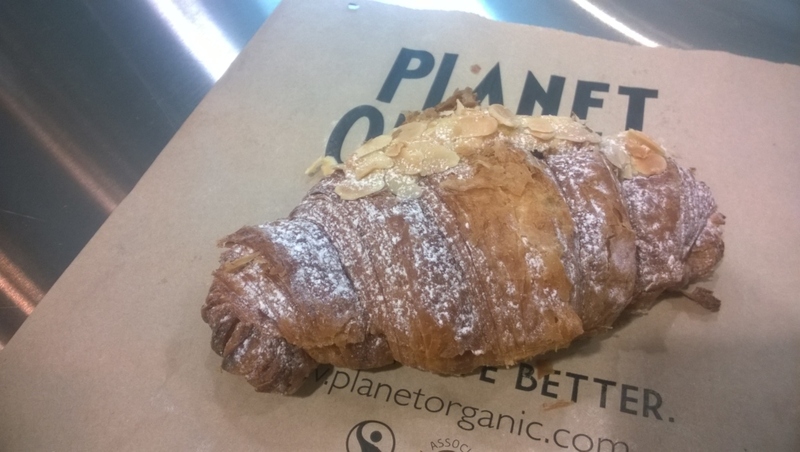 Not my favorite shape for a croissant, but doesn’t crumble in your hands. Good amount of pastry. Because they are cheating using hazelnuts, it is fun to eat with those little extra pieces. Cream is a bit weird.. strong flavour and a bit granular. Never judge the book by its cover! Don’t let us down now! Where’s the Oh là là? No doubts, size matters. 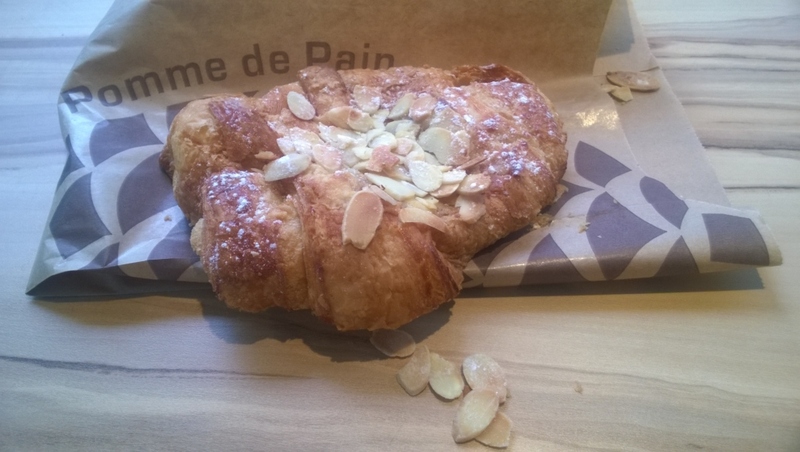 Unfortunately at PdP they have quite small almond croissants… They are crunchy thought, which is good. Unfortunately the cream’s flavor disappears quickly and what is left is only the buttery sensation in your mouth. 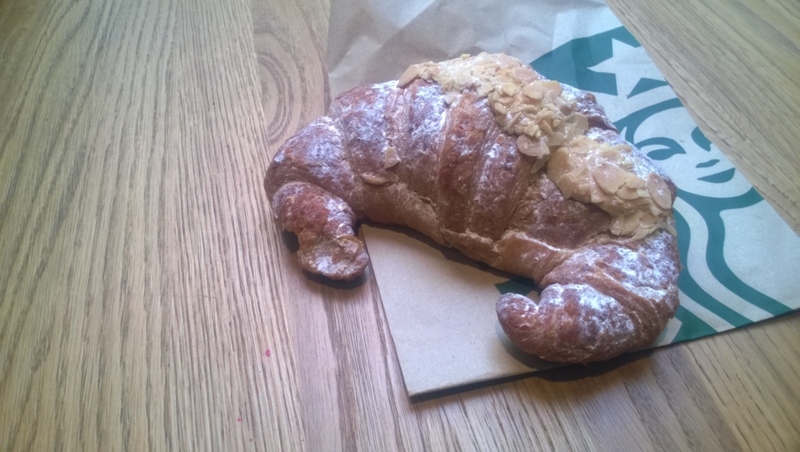 As for the others, a croissant cut by half is not quite appealing. Not really satisfied overall. Eating this is a mess! A fragrant one, even too much, outside and inside. One thin line of crunchy almond cream on the top, a bit sad like Starbucks. The cream is good, I have to admit. Is there a Tesco nearby? 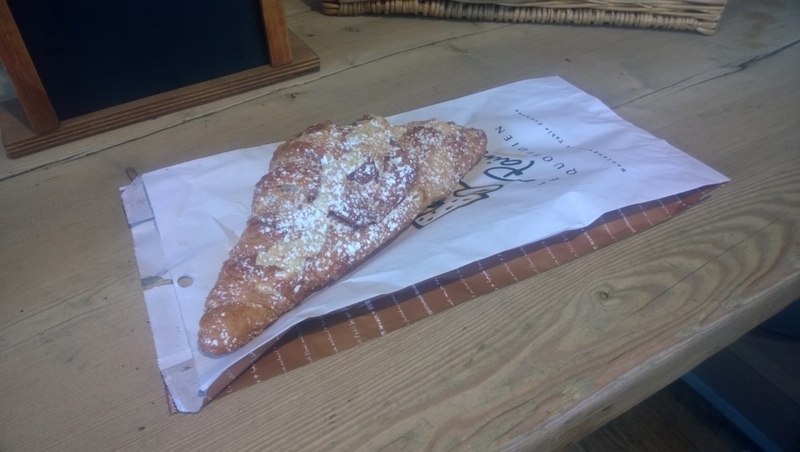 Probably the only almond croissant in London that doesn’t come with icing sugar! There are almond slices fortunately! Except for that, it looks crunchy, but it’s only an impression. Taste… is bland and the cream is quite grainy, but at least there isn’t much! 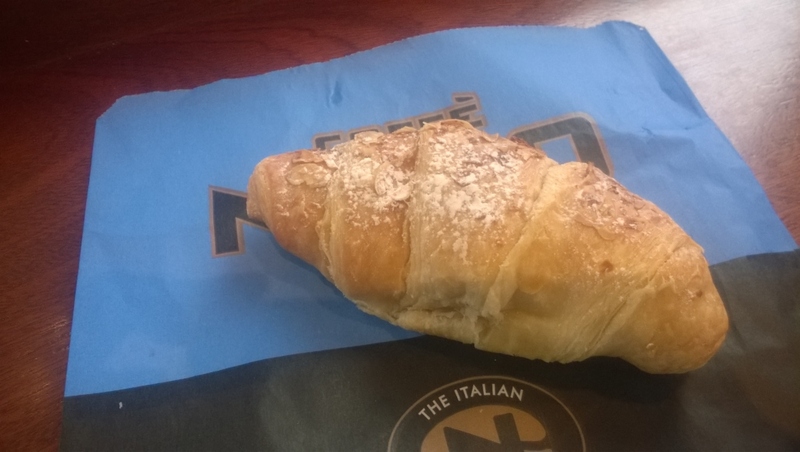 The shape is a bit strange, probably because of the heavy pasta: the result is a thick low croissant. Takes a while to eat it all. Really sweet taste. Loads of almond slices and icing sugar and very little cream! Oh well… they tried! 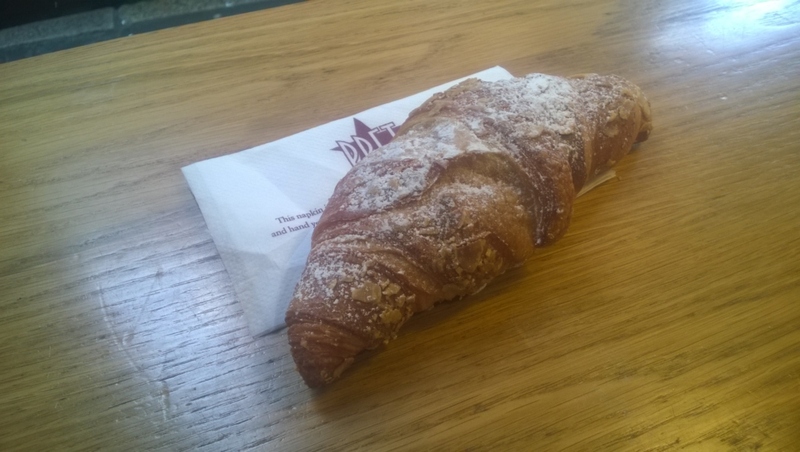 Maybe my expectations were high… Positive thing: the croissant is crunchy. It felt a bit old even if I bought it in the morning, but it might be just an isolate case. Quite sweet and delicate cream. Overall could be better for the price. 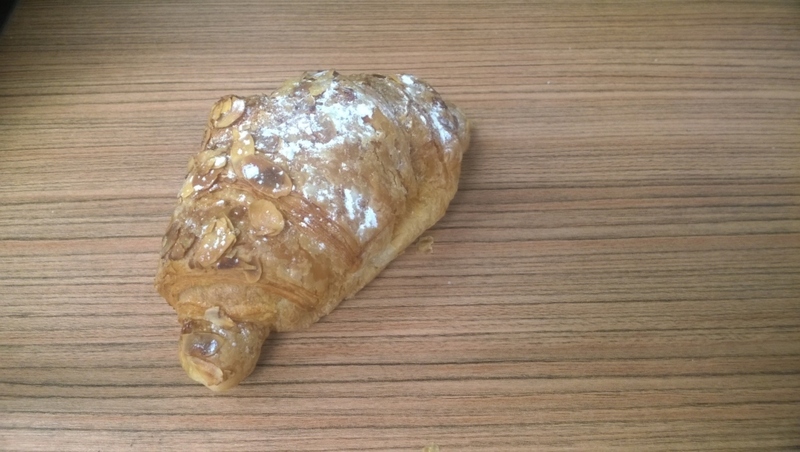 Oh, the croissant is cut by half (that’s something I don’t like). 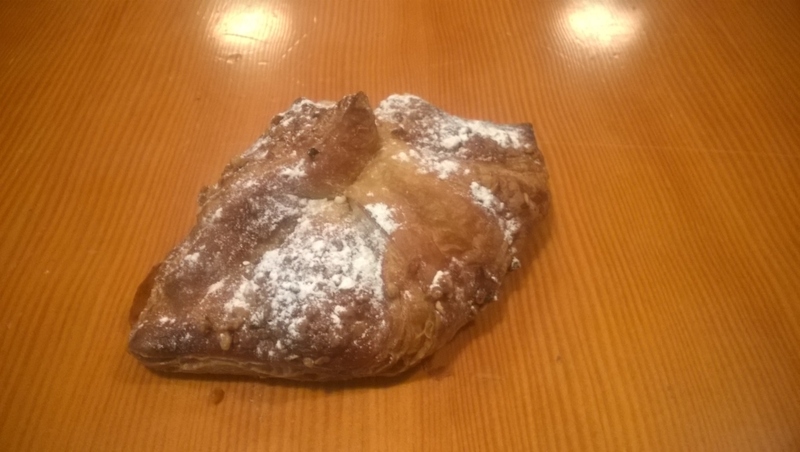 Looks very “industrial”, crunchy but hard pastry, feels old. Almonds on top look melted in a long orangy stripe. Tiny nonsense cream… if you can find it! 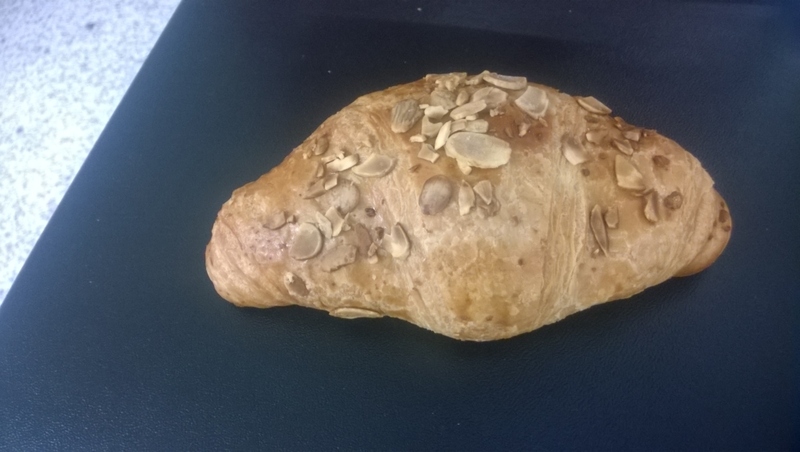 Difficult to eat since the croissant is cut by half and the two layers shift! Bit greasy too? It’s definitely a No.